If you were issued a two-year lawful permanent resident card, this means that your residency status is conditional and you will need petition to remove the conditions on your residency. This is done by filing Form I-751, Petition to Remove Conditions on Residency with United States Citizenship and Immigration Services (USCIS) during the 90-day window prior to the expiration of your conditional residency card. Lately, USCIS is taking well over 18 months to adjudicate I-751 Petitions. Because of this processing delay, USCIS has been issuing I-751 receipt notices that extend the conditional resident’s conditional residency status for 18 months past the conditional green card expiration date. This means that you can continue to work in the United States and travel internationally even after your green card has expired, so long as your I-751 Petition was filed on time and you have the I-751 receipt notice. Independent of the I-751 Petition requirement, you may also qualify to apply for U.S. citizenship if you have been a resident for at least three years, you have been living in marital union with the same U.S. citizen spouse for that three-year period, and you meet all other eligibility requirements for naturalization. Your time as a conditional resident counts toward the three-year requirement for U.S. citizenship. This means that you may become eligible to apply for U.S. citizenship while your I-751 Petition is still pending with USCIS. The good news is that you can file an N-400 application for naturalization with USCIS even if your I-751 Petition is still pending. Because the I-751 processing delays are so extensive, you could be scheduled for your N-400 naturalization interview before USCIS adjudicates your I-751 Petition. If this is the case, it is important to be prepared to address both the pending I-751 Petition and the N-400 Application at your naturalization interview. As with all naturalization interviews, you can expect the USCIS officer to review your N-400 Application, administer the civics exam, and test your English speaking, reading, and writing ability. At the same interview, you should also be prepared to review your I-751 Petition, provide updated evidence of a bona fide marriage, and answer questions about your marriage. Your U.S. citizen spouse should accompany you to USCIS in case the officer has questions for him or her as well. Although I-751 Petitions are currently very delayed, the silver lining is that this delay does not impact your ability to apply for U.S. citizenship once you become eligible to do so. 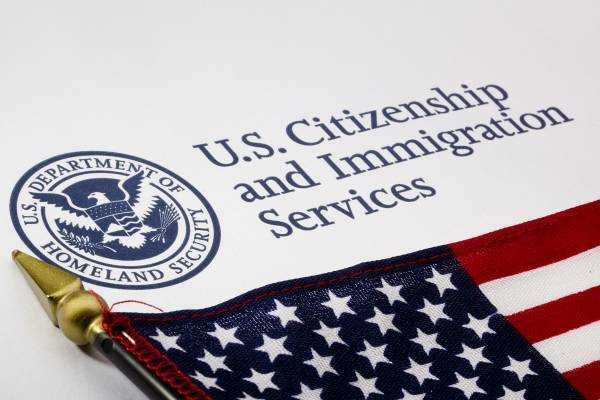 For more information on filing the I-751 Petition to Remove Conditions on Residency, applying for U.S. citizenship through naturalization under the 3-year rule for spouses of U.S. citizens, or other immigration-related inquiries, please contact Kolko & Associates, P.C. at (303) 371-1822.